Enjoy more with Ovi Store from now until August 31. When you download the Ovi Store gimMe Perks application from store.ovi.com, you have the chance to get exclusive discounts and freebies from a wide array of partner establishments. 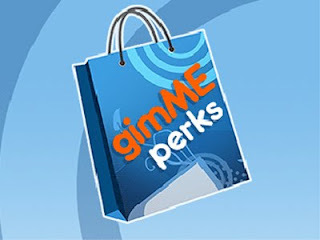 Whether you are a fashionista, movie buff, music enthusiast, or just a lover of discounts and promotions, the gimMe Perks app will be your ticket to grab some really cool deals and thrills. Supported devices are Nokia 5130XM, Nokia 2730 classic , Nokia 6303 classic, Nokia 6500 slide, Nokia 6700 classic, Nokia 7210 Supernova, Nokia 5300 XpressMusic, Nokia 3120 classic, Nokia 5310 XpressMusic, Nokia 2700 classic, Nokia 6300, Nokia N95 8GB, Nokia N86 8MP, Nokia N85, Nokia N82, Nokia N81, Nokia N79, Nokia N78, Nokia N73, Nokia N75, Nokia E75, Nokia E66, Nokia E52, Nokia E51, Nokia 6220 classic, Nokia 6120 classic, Nokia 5730 XpressMusic, Nokia 5630 XpressMusic, Nokia 5320 XpressMusic, Nokia E72, Nokia E71, Nokia E63, Nokia N97mini, Nokia N97, Nokia 5800 XpressMusic, Nokia 5530 XpressMusic, and Nokia 5230.